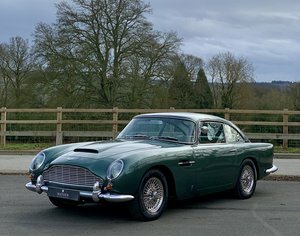 We are proud to offer this beautifully restored Aston Martin DB5 finished in Goodwood Green with Connolly Vaumol (VM846) Natural hide. 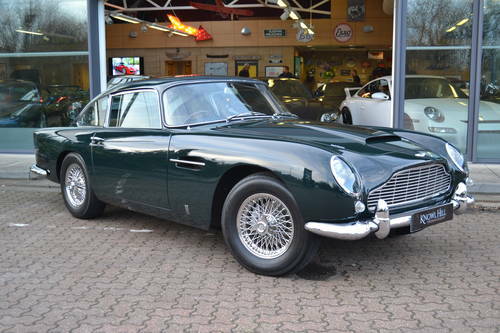 The Aston Martin DB5 is regarded by many as the most beautiful Aston ever built. 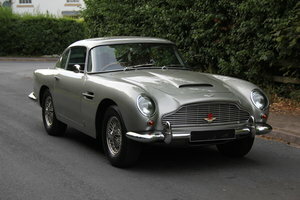 The iconic DB5 series was released in 1963 replacing the DB4 series. 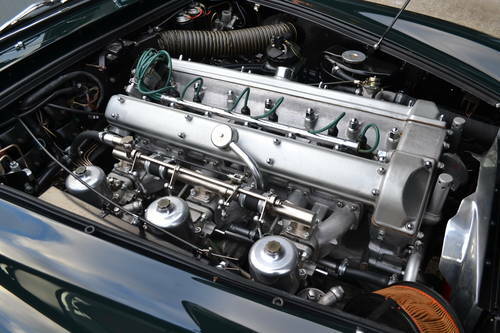 The substantial improvements from the DB4 to DB5 included the 3.7L 6 cylinder engine enlarged to 4.0L producing 282bhp which was capable of 145mph. 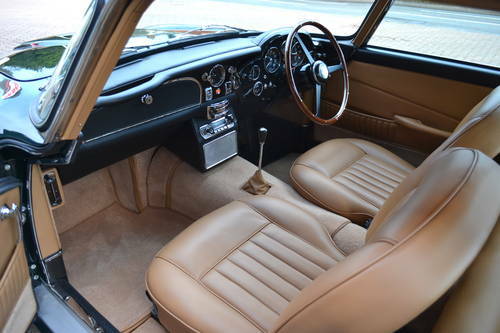 Along with this was the introduction of fully synchromeshed manual gearbox with electric overdrive which was then replaced with the ZF 5 speed gearbox in later models. 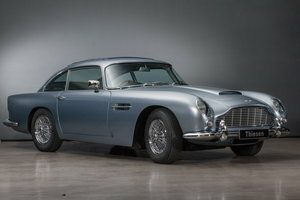 Other improvements the DB5 boasted were 15 inch Chromium Wire Wheels, Girling disc brakes and a magnesium-alloy body built to the Superleggera patent technique. 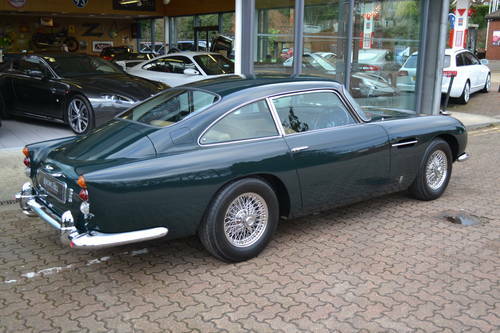 This car was supplied new on the 7th February 1964 by official Aston Martin agents Mill Car Garages of County Durham to Leveys Wallpaper Stores of Walstead, Northumberland. 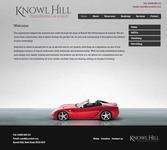 Mr D Levey commissioned the car to be built in Goodwood Green as the car is today. 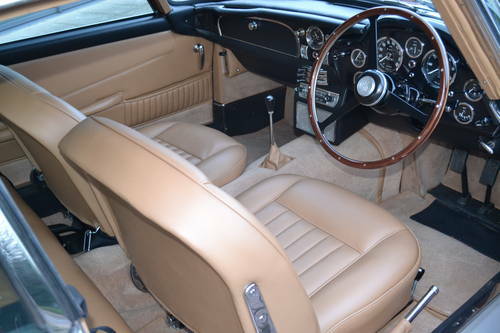 In 1986 the car was acquiried by Prince Sadruddin (Aga Khan) for his personal use in Switzerland.  At the point of export, His Highness commissioned a detailed restoration. 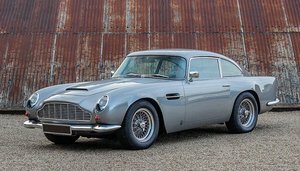 The Aga Khan held ownership of the DB5 until 1998 (February) then sold the car to another Geneve resident whom kept the vehicle for some 16 years until the car came back to the UK and had a full restoration to concours standard as it is today. 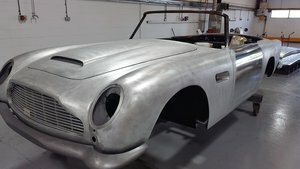 To keep the car in pristine condition it has had the front end wrapped with a PPF wrap to protect the beautiful paint work from stone chips. 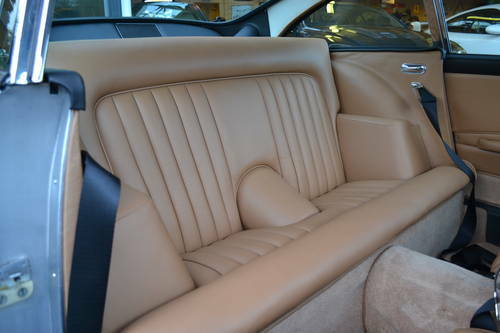 For full information and details of the restoration please contact a member of our sales team.